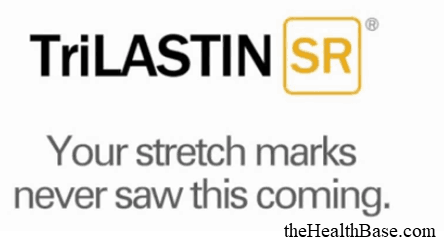 →TrilAstin-SH Review – The Answer to Stretch Marks? Stretch Marks - What Are They? Why is This a Superior Product Range? For a full breakdown of what exactly stretch marks are and why they occur, please take a look at my on this matter please check out the following link - thehealthbase.com/best-stretch-mark-treatments/. In this guide, I look in-depth at the causes of these skin tears– including the three main reasons they occur and how to prevent these occurrences. For now, I’ll quickly explain what these skin lines are and then I’ll proceed with my review of the products. Tears in our skin occur when a portion of the body grows and expands too quickly for our collagen to keep up. Collagen serves to regulate our skin’s strength and elasticity, so when it gets caught out tiny little tears can occur within our skin. These tears then result in stretch lines. They come in the form of dark lines that run across our skin’s surface. When we gain considerable weight in a short period of time, and then lose that weight, this is when these tears happen. This can come about because of pregnancy; bodybuilding; or increases in body weight because of dietary or medical issues. A top quality cream or treatment kit is then used to minimize the aesthetic appearance of these tears. While this skin affliction can never fully be healed and removed from our bodies, they can be minimized to the extent that they become invisible. This is what the TrilAstin product range excels in achieving. 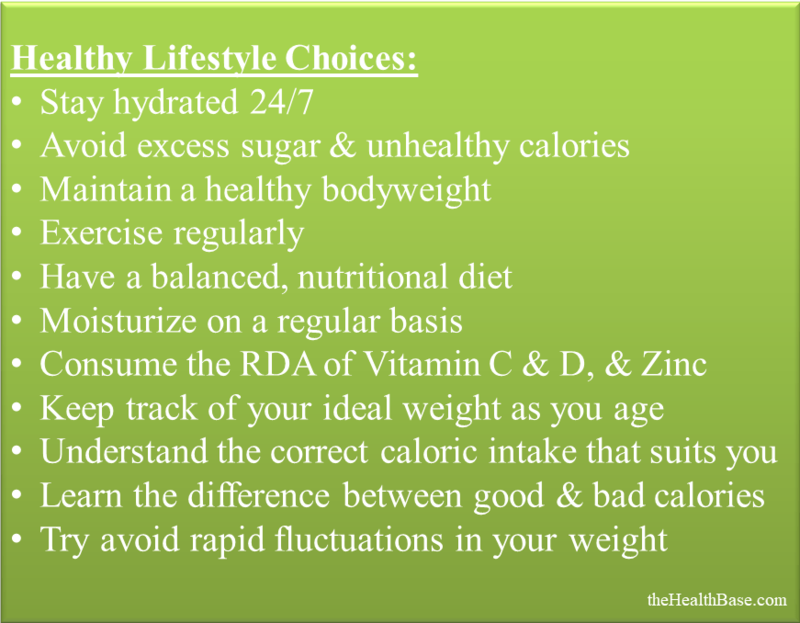 As with any medical or physical issue, the importance of taking preventative steps cannot be stated enough. What I mean by this is the following; there’s no use in being reactive to medical issues – i.e. dealing with them when they occur and not before. It’s key that we are proactive in our lives instead of being reactive. This means that we consciously decide to live health lives WHILE we are healthy, and not to decide to go healthy when our actual health starts to suffer. Therefore, when we began to become impressed by TrilAstin’s range of stretch line treatments, we paused and took a step back. We forgot the products for a short time. Instead, we focused on the brand itself. The products had impressed us…but could the brand do the same? When reviewing a brand, we look at two things – the ethos and message that the brand promotes, and the customer feedback that will either support this ethos and message, or else find it lacking. In terms of their ethos, this company openly admits on their website that beauty is not just skin deep, but that aesthetic appearance is indeed important to all of us. This is true – there are far more important facets to a human being than simply how they look. But, despite this, looking good is still something that we all seek. There is no shame in this, it’s perfectly natural. This brand seem to understand this which is good as they do not then go out of their way to appeal to peoples’ vanity and insecurities in their marketing. So, the ethos and message sounds good. It sounds positive and of a healthy origin. But does the customer feedback and testimonials backup this health conscious ethos? Well, as far as our research has ascertained, the answer to this a resounding yes. Firstly, it’s important to note that the TrilAstin-SH product range is an improvement on their previous product range. In the next section I’ll talk more about why this new range of creams is superior to what came before. When it comes to stretch mark creams, the aim of the game is, as you can imagine, quite self-explanatory – to remove as much of the damage as possible so that your skin tone and complexion reverts back to its normal shade. For this, a quality cream is needed that will penetrate your skin with ease. Here the cream will supply the damaged area with nutritional benefits as well as promoting your body’s ability to recover and heal. This, essentially, is all that there is to it! A key element of this process is that the treatment provides support for your skin in the production of collagen and elastin. 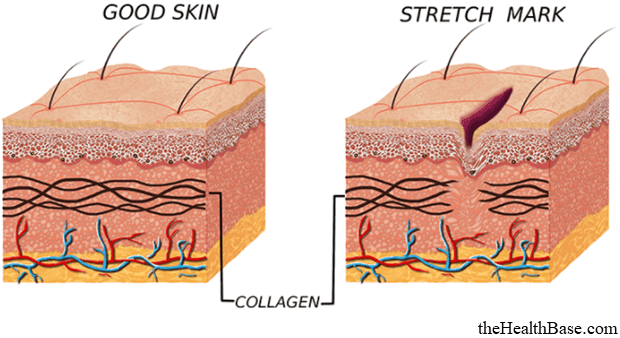 Elastin is a protein that is key in the production of collagen, and collagen is the key weapon that battles against any skin afflictions like skin tears. Ultimately, this product range delivers exactly what you’d want in such a treatment. Below, I’ll explain just how they do this. The main reason that TrilAstin-SH has taken a massive positive step forward in its effectiveness is because they have refined their proprietary technologies – thus supplying a better product range. The SSDS™ is essential in creating a protective skin patch which helps the skin quickly absorb the agents of the creams over an extended period of time – this thus provides a specially designed sequenced release of ingredients to the skin. This technology also aids in rehydrating the skin. In addition to this, the LipoTrisome™ is a proprietary complex of three compounds that are super effective fat-burning agents. This complex works to boost the body’s natural ability to metabolize fat. This is key to stretch line recovery as it results in cellulite being replaced by firm, elastic tissue. In terms of application and aesthetics – the products produced by this brand are non-greasy and very easy to apply. They are also unscented which means that they become invisible within seconds of being applied. These products also do not stain clothes which is always something that is greatly appreciated in a health and beauty product. A formula is only as good as the ingredients that created it. These ingredients and the volumes that are used are just as important as the technology or the brand reputation. Below are some of the key ingredients that TrilAstin incorporates into their SH product line and why they are so beneficial. As I mentioned before, taking preventative steps is a key thing to keep in mind when it comes to stretch lines and dealing with them. TrilAstin understands this and this why they have created preventative products as well as products that deal with the emergence of skin lines. The aim of this starter pack is to prepare your body for possible skin tears. It can work to even avoid them in some cases. The Hydro-Thermal Accelerator Serum works to warm your skin and prep it for the Preventative Cream – by warming your skin; it makes the application and effectiveness of the cream all the better. The Maternity Preventative Cream then helps your skin to keep its strength and elasticity as it undergoes the change of gaining and losing weight. Overall, this super effective combo boosts your skin’s health. Important Note: It must be added that stretch marks are very common after a pregnancy or after a serious weight loss. I add this to ensure that you don’t think this prevention package will automatically mean that you’ll never get tears in your skin. While this can happen, it’s more likely that the any tears will instead be greatly reduced because of this package’s efforts. This is why it is well worth your time to look at the “Mommy Bundle” and the “Bodybuilder’s Dream” packages as they also incorporate the TrilAstin-SH Cream which will work to combat tears. Application: Twice a day to the areas where you feel you are susceptible to stretch lines. 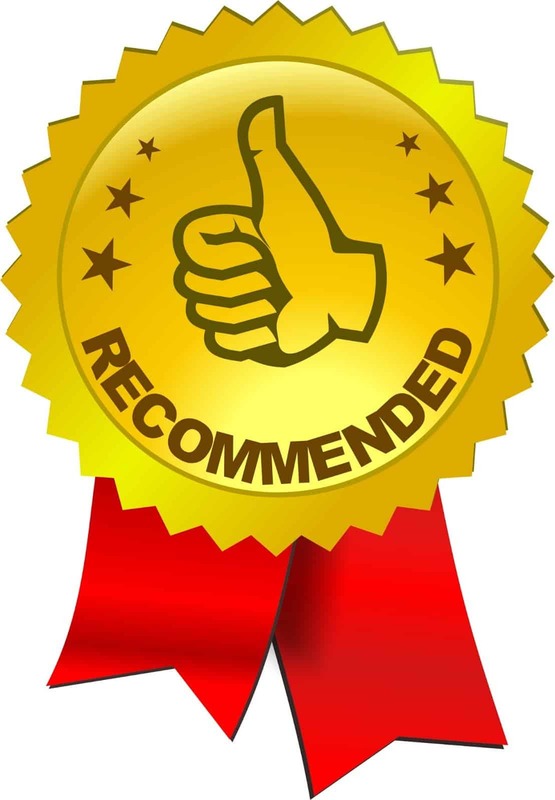 For more on this, have a look at our guide on the top rated Stretch Mark Treatments. Verdict: Suitable for women who are expecting a child or for people who are planning to lose a lot of weight over a relatively short period of time. Effective at avoiding tears from occurring or limiting their emergence. With regards to package type, naturally the price goes with size but so does the overall value. For example, the three month supply is far better value than the one month version, but, of course, it's a fair bit more expensive as well. It really comes down to how much of the cream and serum you think you might use. With a product such as this, I always think it's better to have some left over rather than to run out of either the cream or serum! Contains: Maximum Strength SH Cream & Hydro-Thermal Accelerator Serum. The Hydro-Thermal Accelerator Serum preps the skin by heating it and supplying the damaged area with a vitamin infused blast. Once your skin is ready, the SR Max Strength Cream is then applied so it can do its magic. The sustained-release technology works to deliver active ingredients to the damaged skin as well as boosting the skin’s ability to repair itself. Dynamite!! Application: Apply once or twice daily, depending on size and severity of the issue. Verdict: Suitable for all old and new stretch marks, as well as for all skin types. Super effective at greatly diminishing these lines within a month of use. Again, as with the Preventative kits, the bigger the supply then the better the value but also the more it will cost. It really depends on your own preference. Contains: Three Prevention Creams, two Hydro-Thermal Accelerator Serums, & one SR Max Strength Cream. In a nutshell, this is the perfect cream package for any woman who is expecting to experience a pregnancy in the near future. It contains three elements that will work to both prevent stretch lines from appearing; limit their appearance; and then diminish them entirely. ​Application: The preventive cream twice daily; the SR Cream once to twice daily depending on severity and size of the stretch marks. Verdict: Suitable for all skin types and all sorts of skin lines. Covers absolutely all angles and areas of the body. Even though it is advertised for Mothers and pregnancy, it is also a very effective package for anyone who feels that they might be susceptible to this skin issue. Contains: One Prevention Cream, three SR Max Strength Creams, & one Hydro-thermal Accelerator Serum. This is much the same as the “Mommy Bundle” package – it features the same products yet the emphasis is more on treating the stretch lines rather than preventing them. This can been in the addition of the three TrilAstin-SR Creams and only one of the Prevention Creams. Cost: $249 (Discounted price – usually $311.97). Application: Same as the above package. Verdict: This package is more suited to those people who know that they will be experiencing tears in their skin – i.e. bodybuilders who are going to be putting on serious muscle in a short period of time. In terms of cost effectiveness, it would actually cost the exact same to buy these products individually. You would save on shipping and it’s always far more convenient to purchase all of these in one go rather than separately. Contains: Four SR Max Strength Creams & one Hydro-thermal Accelerator Serum. 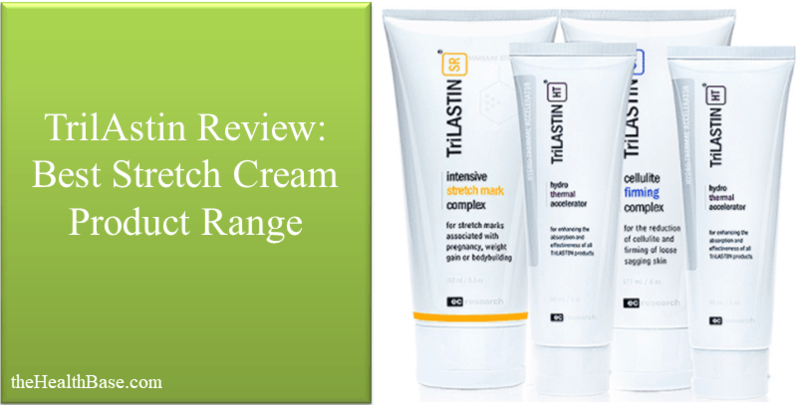 Verdict: This offer gives you three of the TrilAstin-SR Creams with an additional Cream and one Accelerator Serum for free. This deal is quite good in terms of saving money as buying these products individually would cost you $255. So, therefore, you can save $59 and also an extra amount from only having one shipment. I personally think that this is the best offer for people who have existing stretch marks. Contains: Six SR Creams & one HT Hydro-thermal Accelerator Serum. Verdict: A bigger version of the 5 for 3 bundle offer. In terms of cost, you’d save $55.04 by purchasing this offer over buying individually. There is a lot of Cream in this bundle, arguably too much for one person. It’s great value if you find someone to split it with, or perhaps if you are a professional bodybuilder. Other than that, I’d recommend going for the 5 for 3 bundle. This is a super incentive that comes with TrilAstin and their product range. 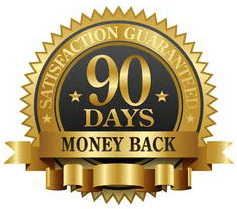 They offer a whopping 90 money back guarantee with all their products and packages. This is a very impressive and noteworthy guarantee when compared to other such offers in the health and beauty industry. In the majority of cases, you’ll see an improvement in your stretch marks by using the products mentioned above within 3-4 weeks, so that’s 21-28 days. Because the warranty is 90 full days, this gives you plenty of time to try out the creams and serums and to judge their effectiveness. *This is further reason I believe to buy the 5 for the Price of 3 bundle offer. The TrilAstin guarantee only covers three bottles of your first order. So, therefore, if you buy a single bottle then you won’t be able to get a refund. Just as if you buy twenty, then you’ll only be able to get a refund on three of the twenty. Not much good. However, as I said, if you buy the 5 for 3, and there’s an issue, then you can get a full refund. And since you’ve only actually paid for three (two are free), then you won’t have lost anything. I believe this is the shrewdest way to go about purchasing your first treatment package. Answer: Existing stretch marks will be reduced in appearance within 3-4 weeks. Future lines can be diminished and even prevented by using the appropriate cream. Are these products effective on all skin types, ages, and colors? Answer: Absolutely. The products have been rigorously tested on all differing skin types. Are there any side effects from any of the creams or serums? 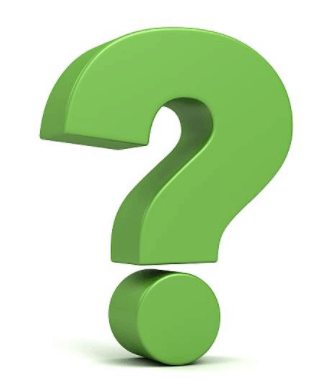 Answer: The FDA approved all TrilAstin products, a main reason why these products are available in 130 countries worldwide since 2005. Also, the formula used is both hypoallergenic and fragrance-free. Do these products work on scars – either surgical or general ones? Answer: In most cases the answer is yes. The SR Cream can help to normalize scar tissues and return the damaged area to the normal complexion of the surrounding skin. How long will an average tube/bottle last? Answer: Each tube/bottle is 5.5ounces in terms of volume and should last you for approximately 4 – 6 weeks. Again, this will differ depending on such factors like the size of the stretch lines; the severity of the tear involved; the depth of the damage; and the area in which the lines are present. Do this Brand test on animals? Answer: Absolutely not. This is a query that (rightfully so) is becoming more and more important and prevalent in the minds of consumers. Is the TrilAstin website a safe one in which to order from? If you use the Hydro-thermal Accelerator Serum in conjunction with the SR Max Strength Cream, then you will see a noticeable difference in your stretch lines within 3-4 weeks. After this, these line will become increasingly less visible over time. Old tears will take longer to dissipate as they have been present on your body for an extended period. In our judgment, old marks won’t begin to disappear until after a few months of the same as treatment as outlined above. However, they will indeed fade just as well as new ones. Again, it’s worth noting that factors such as age; area; length; depth; and severity will dictate how long it takes for a skin line to become less visible. We recommend that you either go straight to the source when you are thinking about trying one of these products, or else use a trusted wholesaler such as Amazon. Also, as seen in this review, this brand offers discounted prices every now and again; these discounts won’t be available from every vendor and are usually just located on their official site which can be reached via the link below. Overall, the TrilAstin product range is super effective at what it was intended to do. The Prevention Cream works wonders to prepare your skin for potential tears, while the Hydro-thermal Accelerator Serum ensures that the skin is at its most receivable for the SR Cream. In terms of cost-effectiveness, I’ve said that the 5 for the price of 3 bundle offer is the best option by far I think. This gives you a good amount of Cream and Serum for a very good price. 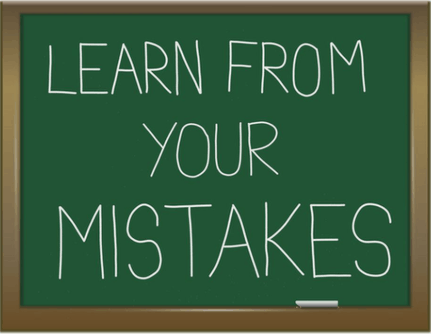 It also means that you can fully avail of the 90 day guarantee if anything amiss happens. That brings an end to my review. I hope that you found it insightful and, as always, don’t hesitate to get in touch with myself or other members of the Health Base team via our Contact Page or through the contact form supplied at the end of this page. Also, if you’ve time, take a look at the related content that is available at the bottom as well.